From the creators of Angry Birds comes an all new game from the PIGS’ point of view! 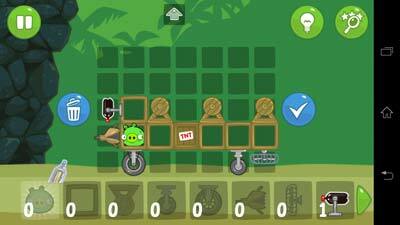 Create the ultimate machine and get the pigs safely to the eggs in the No.1 hit game from Rovio. 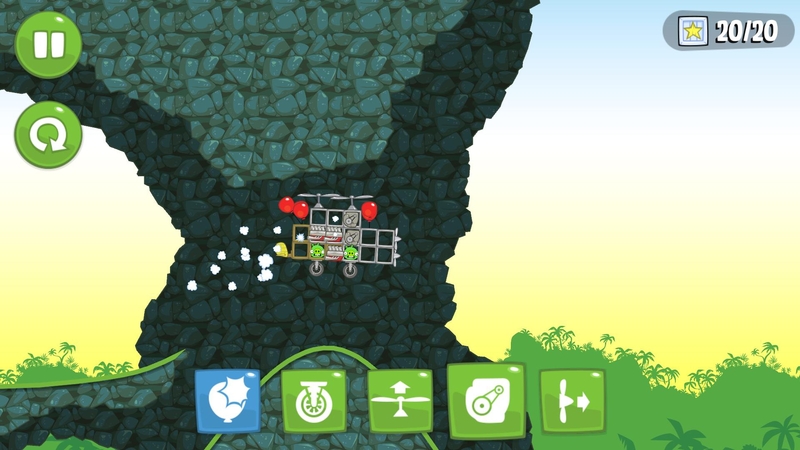 Can you create the ultimate flying/driving/crawling machine and steer them safely to their destination? With your help and lots of creativity, a few basic pieces can turn into the most amazing transportation! 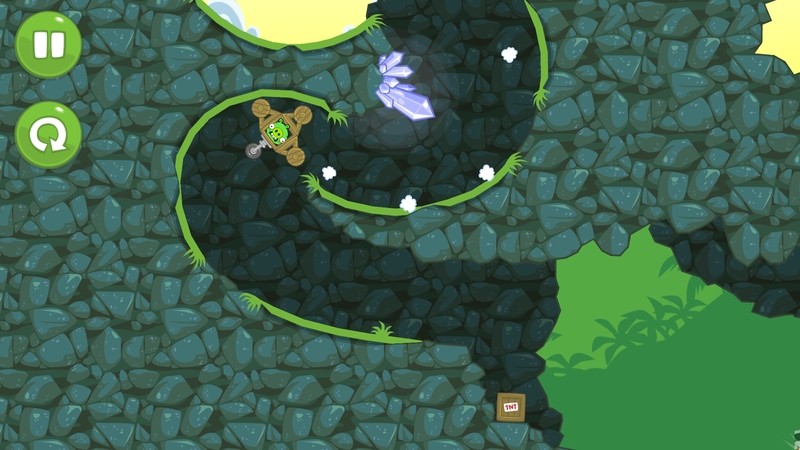 Bad Piggies has more than 75 levels, plus free updates, so there’s no end to the crashing, driving, and flying fun! Use over 30 different objects to explore the world with the most fantastic machines you can imagine. HINT: Sometimes you need to play the level several times to achieve all the objectives – try building a new machine or steering in a different way to earn all the stars! PLUS: Includes an exclusive, highly collectable Bad Piggies sticker set – only available in this PC boxed version of Bad Piggies! Loads of awesome levels crammed with flying/driving/crashing fun! Unlock bonus levels for even more puzzles! Free updates bring you even more entertaining levels! Use objects to create the ultimate machine: motors, wings, fans, bottle rockets, umbrellas, balloons, TNT, and much more!